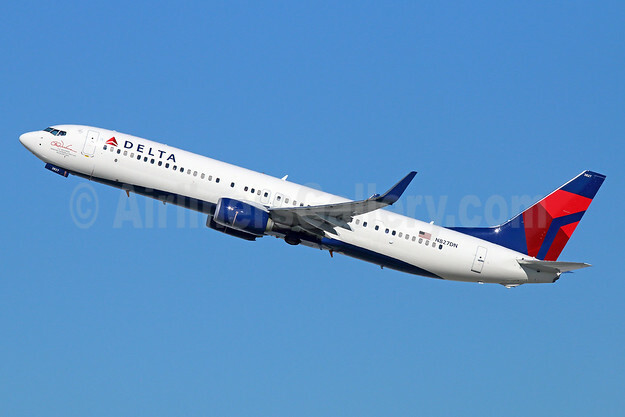 Delta Air Lines (Atlanta) is planning to operate the Boeing 737-900 ER (Extended Range) daily between Seattle/Tacoma and Honolulu starting on April 4 per Airline Route. 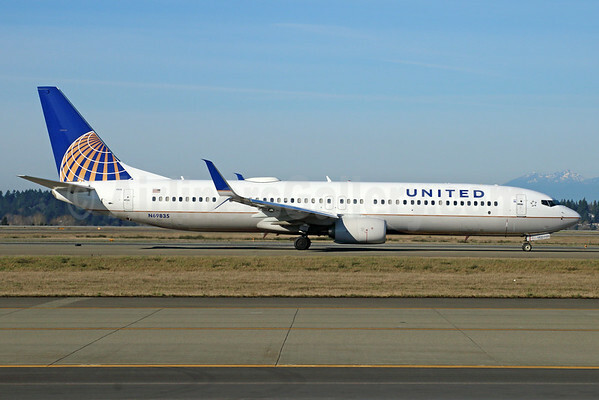 The newer type will replace existing Boeing 757-200 aircraft. 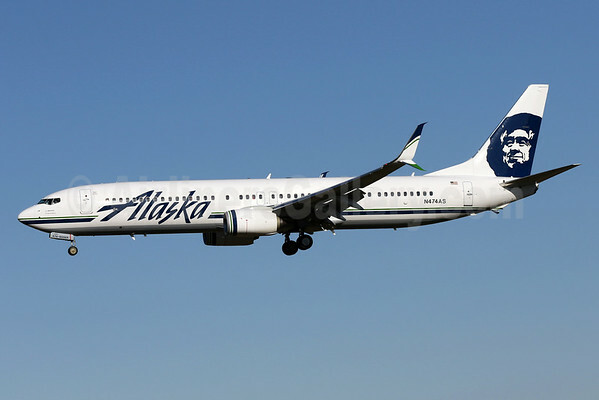 The carrier will use the 737 also on the Seattle/Tacoma – Kona route commencing on April 17. Copyright Photo: Jay Selman/AirlinersGallery.com. Boeing 737-932 ER N835DN (msn 31945) departs from Fort Lauderdale-Hollywood International Airport. This entry was posted in Delta Air Lines and tagged 31945, 737, 737-900ER, 737-932, Boeing, Boeing 737, Boeing 737-900ER, Delta Air Lines, Hawaii, Honolulu, Kona, N835DN, Seattle/Tacoma on January 5, 2016 by Bruce Drum. Today at its annual Investor Day, Alaska Airlines announced plans to roll-out a Premium Class section. Beginning in late 2016, the new upgrade option will provide more legroom and other perks to customers. Customers who upgrade to Premium Class will get priority boarding and enjoy three to four inches more legroom compared with a standard coach seat. In addition, Alaska Airlines plans to offer additional amenities to further enhance the Premium Class in-flight experience. This upgrade option will be available to Alaska Airlines elite Mileage Plan members on a complimentary basis at booking or day of travel dependent on status and fare purchased. Upgrade pricing and details on the included amenities will be announced closer to customer availability. 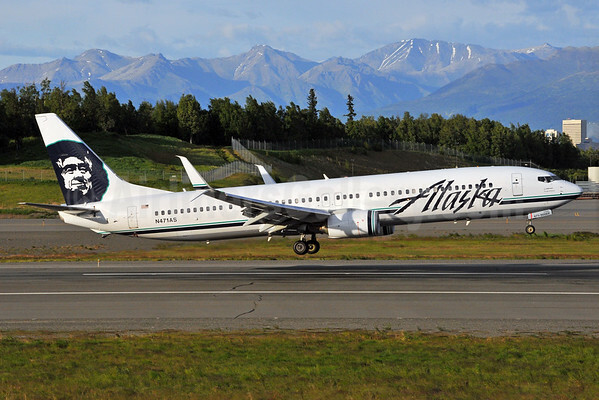 Alaska plans to retrofit up to 60 aircraft with the Premium Class section by the end of 2016 and the remainder of its 737-800, -900 and -900 ER fleet by the end of 2017. The upgrade option will also be available on Embraer 175s, operated by SkyWest, which are configured with 12 seats in the Premium Class section. Preferred Plus seating, currently available for purchase at check-in for bulkhead and exit rows, will continue to be offered on Alaska 737-400s and -700s. Seats in the Premium Class section will have at least 35” of pitch, compared to 31” to 32” in the rest of the main cabin. To make room for the Premium Class while maintaining pitch in the main cabin, Alaska will reconfigure and reduce the number of seats available on some aircraft. Also, pitch in the First Class cabin will be increased from 36” to 41” providing a significantly enhanced experience for those customers. Copyright Photo: Michael B. Ing/AirlinersGallery.com. Boeing 737-990 ER SSWL N479AS (msn 60576) departs from Los Angeles International Airport in the revised 2015 livery. This entry was posted in Alaska Airlines and tagged 60576, 737, 737-900, 737-900ER, 737-990, Alaska Airlines, Boeing, Boeing 737, Boeing 737-900, Boeing 737-900ER, N479AS, Premium Class on December 3, 2015 by Bruce Drum. 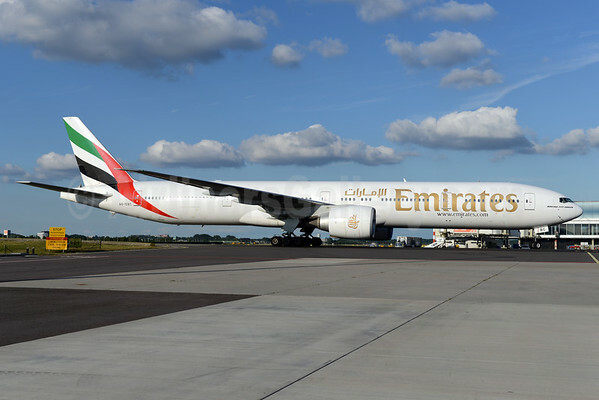 Emirates (Dubai) today (October 26) announced a new codeshare and lounge agreement with Alaska Airlines (Seattle/Tacoma). Pending governmental approval, Emirates will begin marketing up to 300 daily Alaska Airlines flights, which will give customers the simplicity of purchasing connecting flights on both airlines using one reservation, and a seamless ticketing, check-in, boarding and baggage check experience during the entire journey. In addition, the new codeshare agreement will feature several other new benefits including reciprocal lounge access and priority boarding and check-in for elite fliers. With two daily flights now departing from Dubai to Seattle/Tacoma, the enhanced codeshare agreement gives passengers easy connections to 49 cities including Honolulu, Denver, Las Vegas, Portland, Phoenix, Pullman, Sacramento, Spokane, Anchorage, Juneau, and Fairbanks as well as Canadian destinations such as Calgary, Edmonton, Vancouver and Victoria. Top Copyright Photo: Ton Jochems/AirlinersGallery.com. Emirates Boeing 777-36N ER A6-EBC (msn 32790) taxies to the gate at Amsterdam. Below Copyright Photo: Brian McDonough/AirlinersGallery.com. Alaska Airlines Boeing 737-990 ER N474AS (msn 40715) with the revised titles and winglet markings arrives at Baltimore/Washington. This entry was posted in Alaska Airlines, Emirates Airline and tagged 32790, 40715, 737, 737-900, 737-900ER, 737-990, 777, 777-300, 777-36N, A6-EBC, Alaska Airlines, Baltimore/Washington, Boeing, Boeing 737, Boeing 737-900, Boeing 737-900ER, Boeing 777, Boeing 777-300, BWI, Emirates, N474AS, SEA, Seattle/Tacoma on October 26, 2015 by Bruce Drum. United Airlines (Chicago) has announced that it has reached an agreement with the International Brotherhood of Teamsters (IBT) to put a proposed joint collective bargaining agreement out for ratification. The proposed agreement will bring together the airline’s more than 8,600 technicians and related employees under a single contract. United and the union worked with the assistance of the National Mediation Board to reach the agreement. United has joint collective bargaining agreements covering the majority of its represented employees, including pilots, dispatchers, fleet service, passenger service, reservations and storekeeper workgroups. The company is engaged in mediated negotiations with the Association of Flight Attendants (AFA) and recently entered into discussions with its pilots, represented by the Air Line Pilots Association, to consider an extension of their current collective agreement. The proposed agreement is subject to ratification and covers mechanics and related employees located throughout the United States. Copyright Photo: Michael B. Ing/AirlinersGallery.com. Boeing 737-924 ER N69835 (msn 60087) taxies to the runway at Seattle-Tacoma International Airport. This entry was posted in United Airlines and tagged 60087, 737, 737-900, 737-900ER, 737-924, 737-924 ER, Boeing, Boeing 737, Boeing 737-900ER, N69835, SEA, Seattle/Tacoma, United Airlines on October 24, 2015 by Bruce Drum. 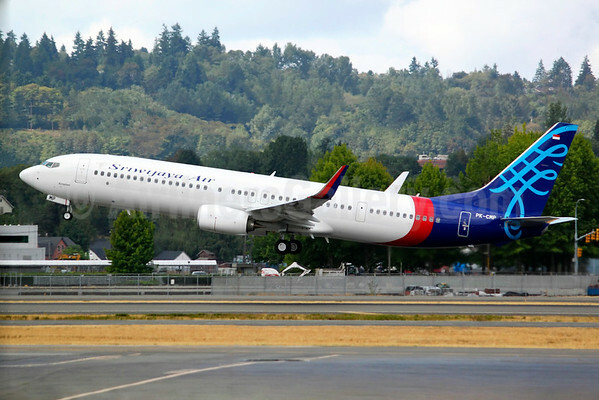 Sriwijaya Air (Jakarta) and Boeing (Chicago, Seattle and Charleston) on August 20 celebrated the delivery of two new Next-Generation 737-900 ER (Extended Range) airplanes (PK-CMO and PK-CMP). This is the first all-new airplane delivery for Sriwijaya Air, Indonesia’s third largest carrier. 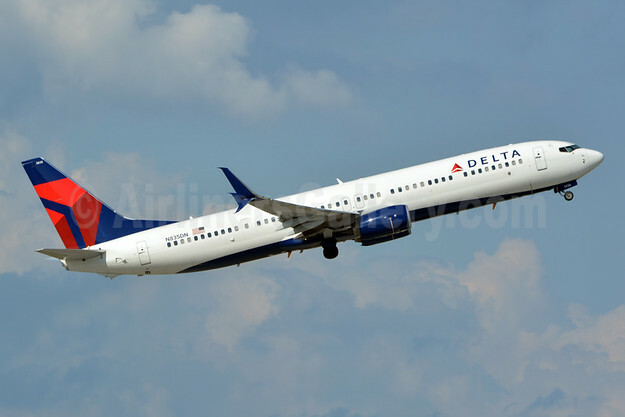 The airline operates an all-Boeing fleet of 737 airplanes and offers flights to various Indonesian destinations and a select few international cities. Copyright Photo: Joe G. Walker/AirlinersGallery.com. Boeing 737-9LF ER PK-CMP (msn 41843), previously planned for UTair, is named “Keiginan”. The new jetliner is pictured on a test flight from Boeing Field in Seattle on August 15. This entry was posted in Sriwijaya Air and tagged 41843, 737, 737-900, 737-900ER, 737-9LF, BFI, Boeing, Boeing 737, Boeing 737-900, Boeing 737-900ER, Boeing Field, PK-CMP, Seattle, Sriwijaya Air on August 21, 2015 by Bruce Drum. Alaska Air Group (Alaska Airlines and Horizon Air) (Seattle/Tacoma) today reported a record second quarter GAAP net profit of $234 million. 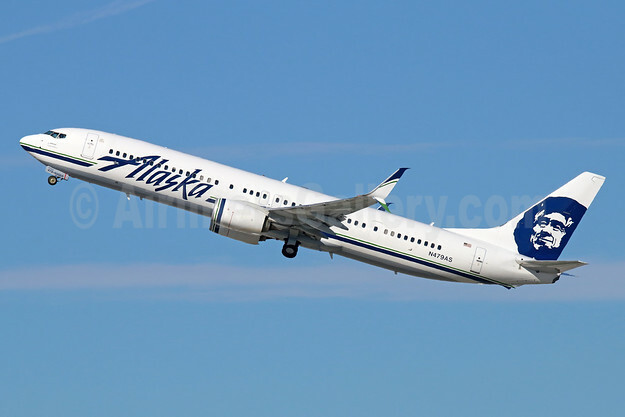 Alaska Air Group, Inc., today reported second quarter 2015 GAAP net income of $234 million, or $1.79 per diluted share, compared to $165 million, or $1.19 per diluted share in the second quarter of 2014. Excluding the impact of mark-to-market fuel hedge adjustments of $6 million ($4 million after tax, or $0.03 per diluted share), the company reported record adjusted net income of $230 million, or $1.76 per diluted share, compared to adjusted net income of $157 million, or $1.13 per diluted share, in 2014. Reported record second quarter net income, excluding special items, of $230 million, a 46% increase over the second quarter of 2014. Reported adjusted earnings per share of $1.76 per diluted share, a 56% increase over the second quarter of 2014 and ahead of First Call analyst consensus estimate of $1.73 per share. Earned net income for the second quarter under Generally Accepted Accounting Principles (GAAP) of $234 million or $1.79 per diluted share, compared to net income of $165 million, or $1.19 per diluted share in 2014. Recorded $58 million of employee incentive pay in recognition of Air Group employees’ progress on meeting customer service, safety, operational and financial goals. Generated record adjusted pretax margin in the second quarter of 25.7% compared to 18.3% in 2014. Generated 20.9% adjusted pretax margin for the trailing 12-month period ended June 30, 2015, compared to 14.9% for the same period in the prior year. Achieved trailing 12-month after-tax return on invested capital of 22.0% compared to 16.1% in the 12-month period ended June 30, 2014. Repurchased 2.5 million shares of common stock for $160 million in the second quarter of 2015, and 4.1 million shares of common stock for $262 million during the first six months of 2015, representing 3.1% of the total shares outstanding at the beginning of the year. Paid a $0.20 per-share quarterly cash dividend on June 4, 2015, a 60% increase over the dividend paid in the second quarter of 2014. Copyright Photo: Ken Petersen/AirlinersGallery.com. Alaska Airlines Boeing 737-990 ER N471AS (msn 41703) with APB Split Scimitar Winglets lands in Anchorage. This entry was posted in Alaska Air Group, Alaska Airlines, Alaska Horizon, Horizon Air and tagged 41703, 737, 737-900, 737-900ER, 737-990, Alaska Air Group, Alaska Airlines, Alaska Horizon, ANC, Anchorage, Boeing, Boeing 737, Boeing 737-900, Boeing 737-900ER, Horizon Air, Inc., N471AS on July 23, 2015 by Bruce Drum.